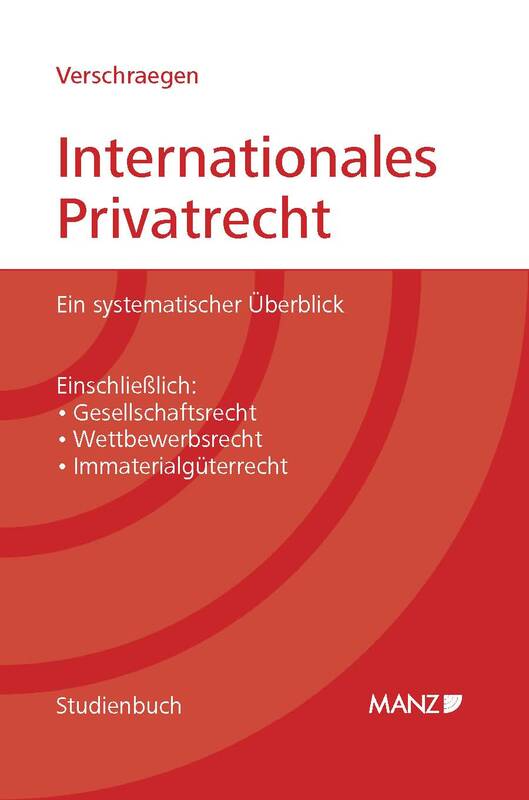 A new systematic presentation of Private International Law for study and practice has just been published by Bea Verschraegen (Professor for PIL and Comparative Law at the University of Vienna). The entire body of significant PIL for Austria is examined, including relevant European and international law. With it, Bea Verschraegen also handles recent innovations in conflict of laws, for instance the Rome III Regulation, the European Maintenance Obligations regulations and the 2007 Hague Maintenance Convention. Bea Verschraegen’s work contributes in particular to European integration and the corresponding changes to the fundamentals of conflicts of law. 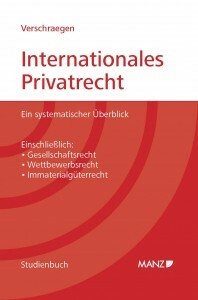 The book is intended as a reference guide from questions related to Private International Law to European and Austrian law. Therefore, the more detailed section is positioned at the beginning of the book for ease of reference, followed by the more general section thereafter. A full table of contents and a preview is available on the publisher’s website.